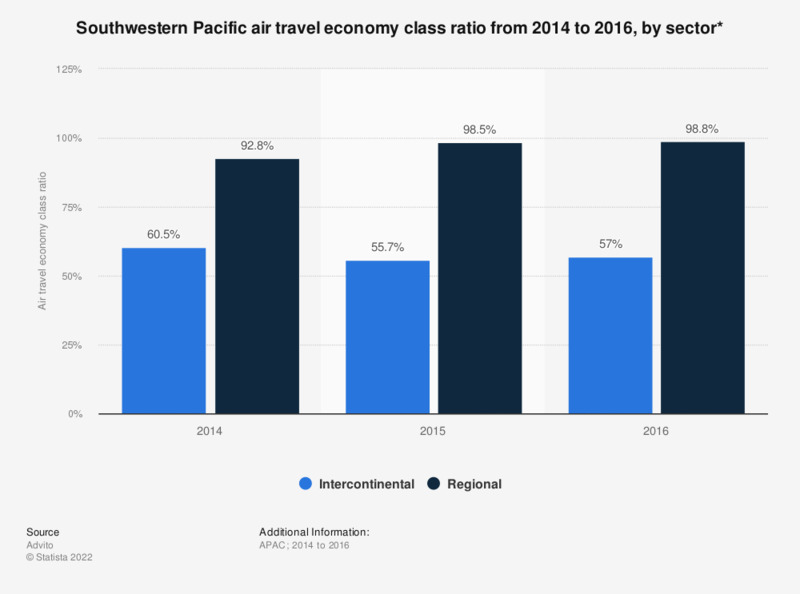 This statistic shows the economy class ratio in Southwestern Pacific air travel from 2014 to 2016, broken down by sector. In 2016, 57 percent of airline passengers opted for economy class in Southwestern Pacific international air travel. * Based on weighted average for January - June in each year.